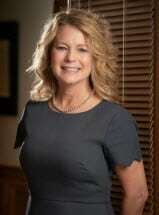 Stephanie A. Dietz represents parties in divorce actions including division of business interests, retirement accounts, and other property as well as child custody issues. Her experience allows her to handle these cases both inside and outside the courtroom. Stephanie also handles all forms of adoption cases. Stephanie is from Versailles, Kentucky, but she has lived in Northern Kentucky since 1991. She is actively involved in her church, St. Pius X in Edgewood, and active with her children’s activities, including being an assistant coach for the Covington Catholic High School Mock Trial Team. Stephanie is an avid runner, and lives in Edgewood, Kentucky, with her husband, Jim, who is also a practicing attorney, and their two sons. Speaker at multiple Northern Kentucky Bar Association CLE Days on family law topics.